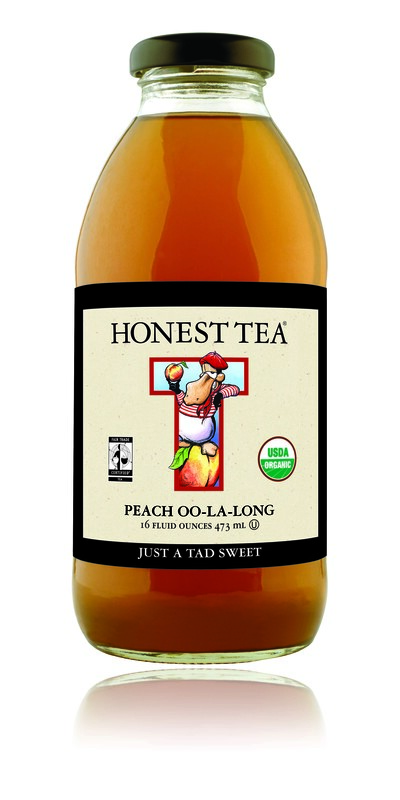 Honest Tea Peach Oo-la-long, the world's first Fair Trade bottled tea. We're excited to expand our commitment to Fair Trade as a way to help ensure the people who are picking and processing our tea leaves are earning a fair wage in third-party monitored working conditions. Honest Tea, the nation's top-selling organic bottled tea company, announced today that it will be expanding its Fair Trade Certified™ offerings to include the entire tea portfolio. In conjunction with this announcement, the company is also publishing its first annual mission report. In 2003, Honest Tea launched the world’s first Fair Trade Certified™ bottled tea in the U.S. with its introduction of Peach Oo-la-long. Since then, the company has continued to expand its Fair Trade offerings. Over the past three years, Honest Tea expanded its Fair Trade offerings from seven to 19 varieties and with this new initiative, all 28 of its teas will become Fair Trade Certified™ starting in December 2010. The company expects the transition to be completed by the end of the first quarter of 2011. Fair Trade offers tea workers fair wages, community investment funds called Fair Trade premiums, and the business skills training necessary to produce high-quality products that can compete in the global marketplace. Fair Trade certification also requires tea gardens to comply with workplace standards set by Fairtrade Labeling Organizations International and Fair Trade USA to ensure safety, equality and fairness. A joint body of workers decides democratically how to invest Fair Trade premiums earned from the tea to support community development projects. This month Honest Tea is also publishing its first annual mission report, “Keeping It Honest,” that details the company’s social and environmental initiatives related to its products, packaging, the planet, its people and partners. “With the publication of this report, we commit to an annual cycle of sharing our strides and setbacks on the journey toward realizing our mission,” said Goldman. A copy of the mission report can be downloaded at http://www.honesttea.com/2009missionreport. Fair Trade USA (previously TransFair USA), a nonprofit organization, is the leading third-party certifier of Fair Trade products in the United States. Fair Trade USA audits and certifies transactions between U.S. companies and their international suppliers to guarantee that the farmers and workers producing Fair Trade Certified goods were paid fair prices and wages, work in safe conditions, protect the environment, and receive community development funds to empower and uplift their communities. Fair Trade USA educates consumers, brings new manufacturers and retailers into the Fair Trade system, and provides farming communties with tools, training and resources to thrive as international businesspeople. Visit http://www.fairtradeusa.org for more information.